All you need is some kirbys, some hair spray and a hair doughnut (also known as a hair donut or sponge) which looks exactly as it sounds. They tend to come in a light yellow, brown & black, so you can pick one that roughly matches your hair. Step 1. Put your hair in a ponytail. Bear in mind that where you position this will determine your bun's final position, so aim high if you are wanting a top knot or ballerina-esque style! Step 2. Thread your ponytail through the middle of the doughnut. Step 3. 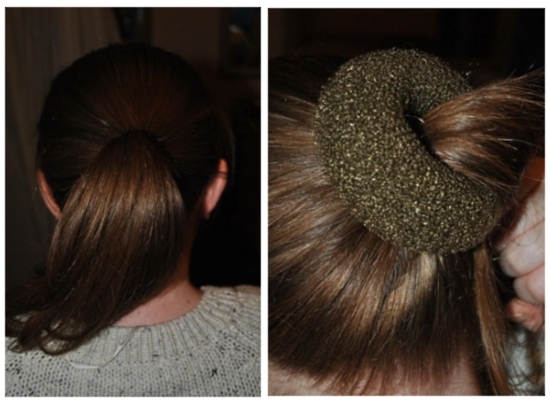 Find the centre of your ponytail that is pulled through the doughnut, and sort of smoosh it round to cover the sponge. The photos above will hopefully explain this step a little more clearly! You can easily feel where the doughnut is still poking through, so just use your hands to smooth the hair round evenly until you're happy. Step 4. 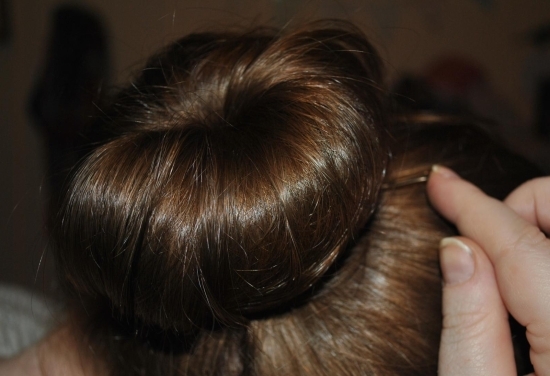 With one hand on the centre of your bun (to keep the main shape in place), slowly start to wind the end of your hair in a circular motion round the doughnut. Step 5. As you are wrapping it round you'll find it naturally tucks in under the bun, so just work your way round keeping the bun tight (and making sure that the bun is still smooth and fully covered!). Step 6. 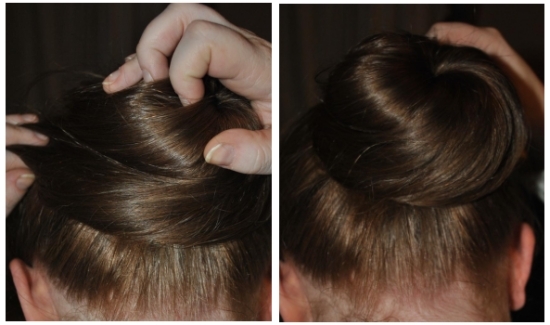 Use kirby grips to secure the hair wrapped round the bottom of the bun. Step 7. Work your way round until it feels secure, and you are sure that the bun (or doughnut) ain't going to fall out. At this point you can make the bun as neat or messy as you like. I am forever scruffy, so this is about as neat as I get! & that's it! 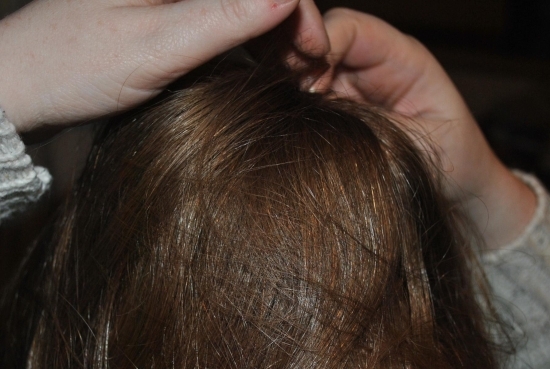 Like I said above, I tend to wear my hair a little looser (aka messier) so even with a big fancy bun I tend to leave bits to hang down, but you can easily make the bun tighter and neater. I'm a happy bun wearer. I've had one of these for ages but never had a chance to properly try it out! Looks great though. Might try it in the new year! Thank you for this help, ive looked everywhere on google and you have been the most helpful, defiantly have another go doing it myself just struggling to see if i've covered up the donut, thanks again! We love your bun! 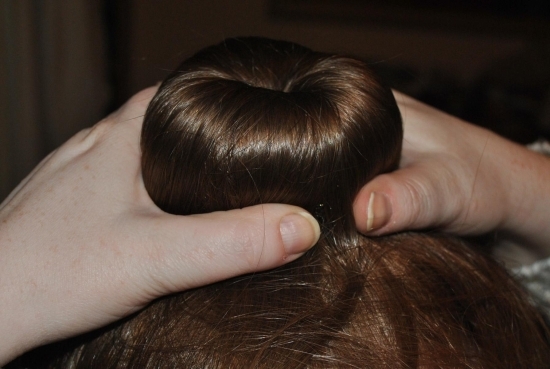 BunQueen.com sells hair donuts online in different sizes and colors! I would have been so screwed without this how to! 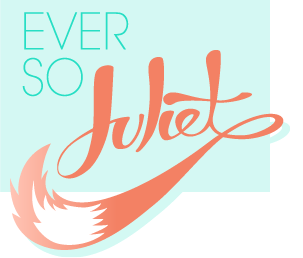 Googled how to use hair doughnuts a few weeks ago and came accross your blog. You really are a life saver.. 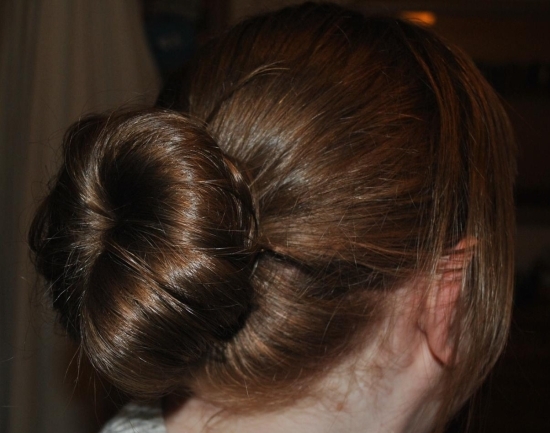 I've had a hair doughnut for ages and was always too scared to even try and use it. I've even got my hair up today in one :) Thank you ever so much. wow, i made my donut out of a sock but just followed your instructions and i got tons of compliments on it...thaaaaanks!!! Thanks x I have had a donut for ages and never got it right in my hair ! When I finally perfected the look I got so many compliments and not people telling me the top of my donut is 'sticking' out !! 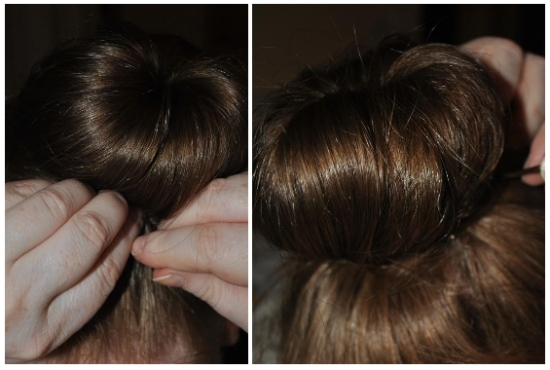 This process is really very easy to make a bun.Thanks for this beautiful post.keep sharing. Your accent is lovely ! Have you seen this hot new hair invention? A Heated Hair Bun, please support!! 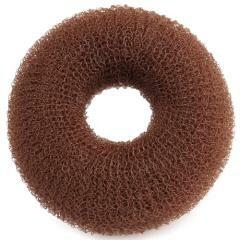 Bought a black hair sponge donut at the $1.00 store. Didn't know what to do, googled it.. I found your site, and tried it, took 2 minutes and looks like it took much longer! THANK YOU!!!! I have long hair so i put a second band over the donut once I've smooched it round and then with the excess hair i bring it to the bottom, plait it, wind it around and push the end under. 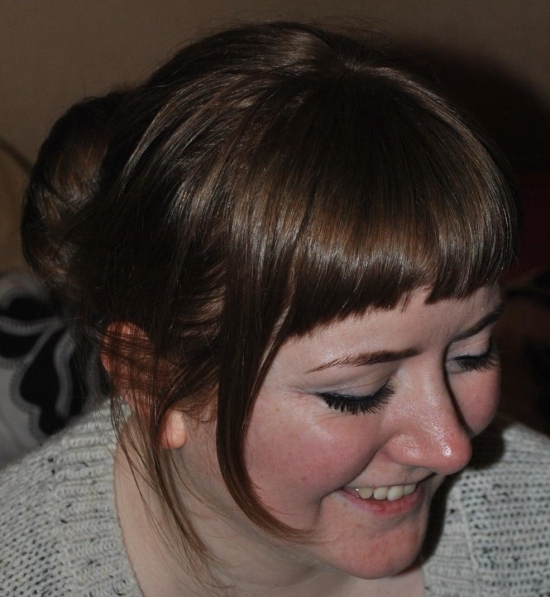 It gives you a nice bun and a plait where the band is and hides any loose bits. This is the best hair tutorial. I am loving it.